LoveUMarketing » Earn Money Online » Reviews Online Tools » How To Build A Question And Answer Website In WordPress? If you want to create a website to ask questions and get an answer then you are the right place. 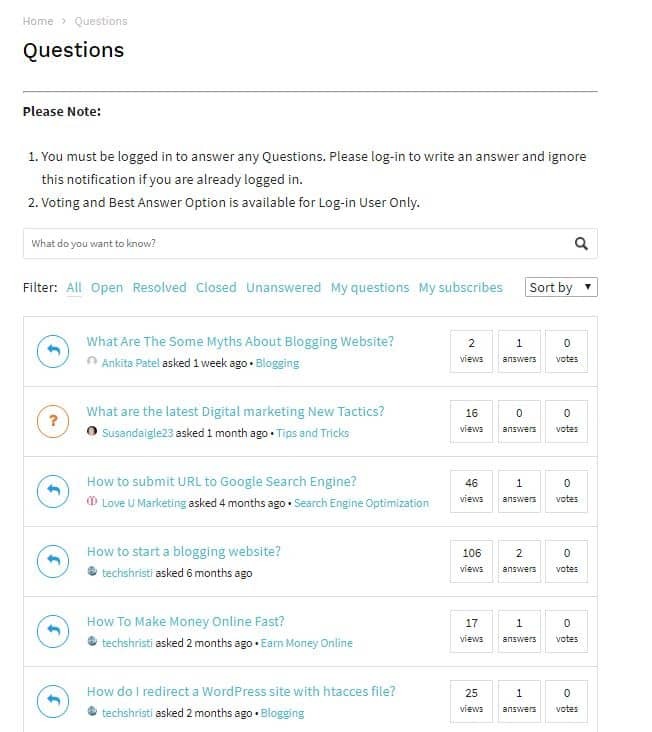 Here, we will share the complete step by step tutorial on how to add Question and Answer Section to your WordPress site. Online Question and Answer communities like Quora, Yahoo Answer and Stackoverflow etc are the fun and easy way to learn different things. Here, a user will ask a specific question and the one who is expert in that specific domain will answer the same. There are two ways to create this kind of website. First, you can create a complete dedicated website on Question and Answer site. 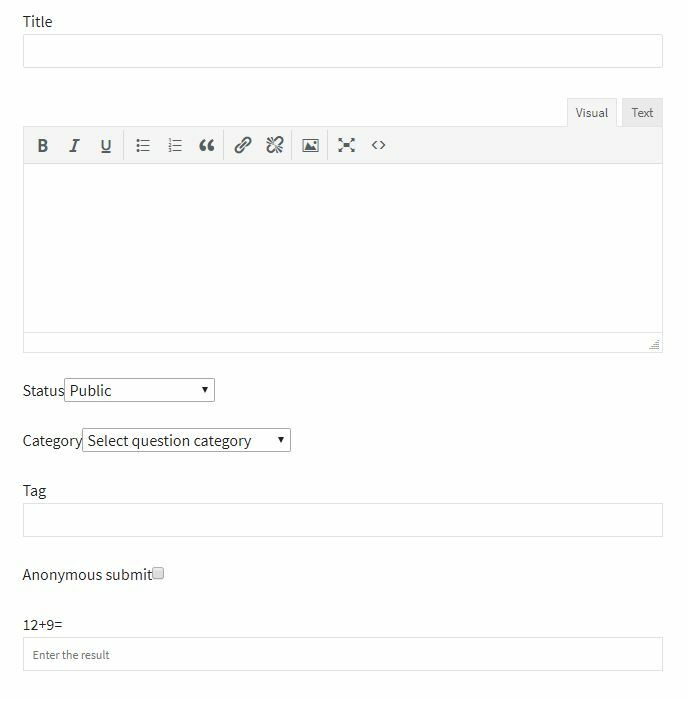 Second, you can add Question and Answer section to your existing WordPress Website. 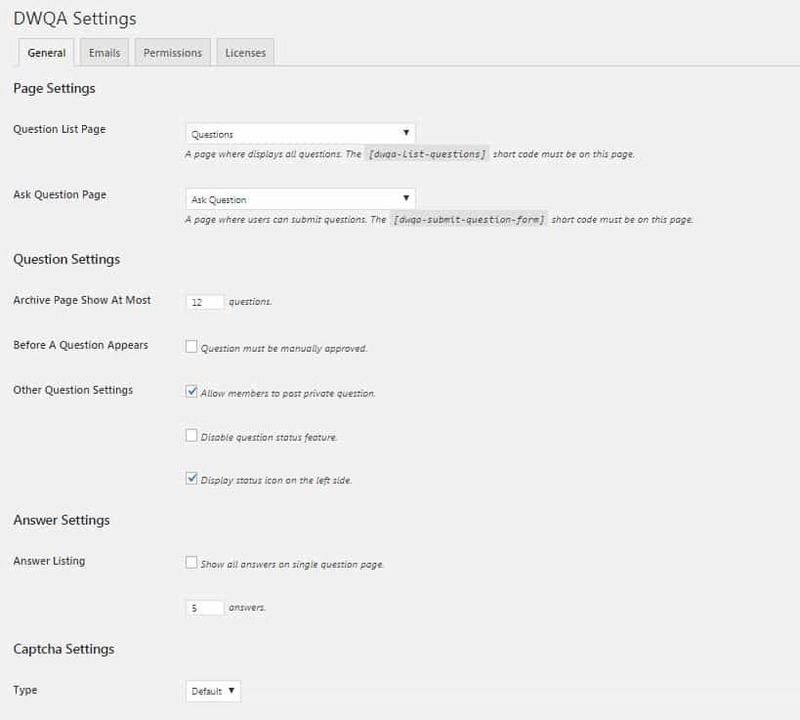 Here, we will share the complete step by step tutorial on adding Question and Answer section to your existing site. There will be a separate page for Questions and Answer and it will work along with your other content of the website. 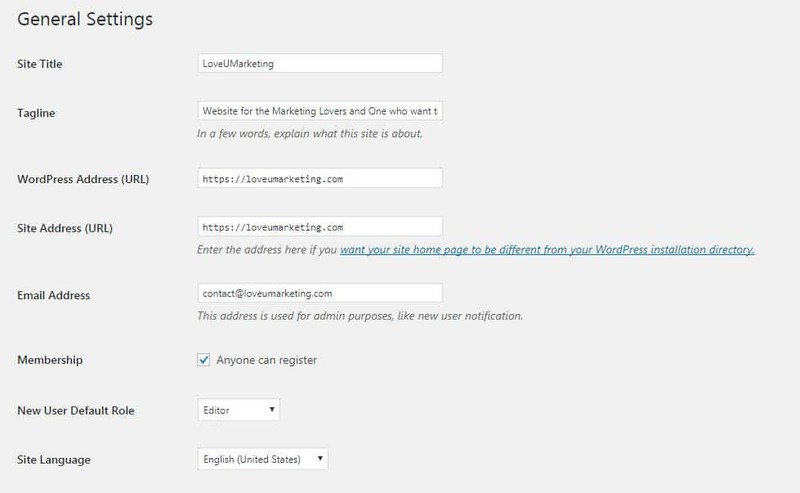 For Example, LoveUMarketing, we are using both Question and Answer Section and Blog as well. WordPress is the best platform for such kind of website. But if you want to create a dedicated Question and Answer website then we suggest using Open Source Q&A Softwares instead of WordPress. Of course, you can even create a dedicated website following steps mentioned below but these open source software are specialized in this kind of website. 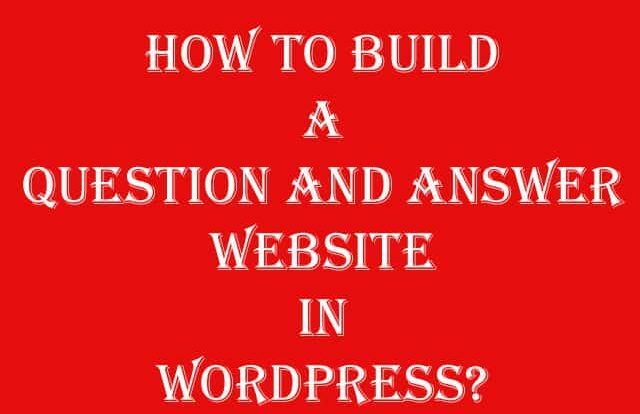 If you still want a dedicated Question and Answer website using WordPress then besides basic steps you will also require to follow some additional steps mentioned at the end of this article. Assuming you have already installed the WordPress website, below are the step by step tutorial for adding Q&A section to your site. There are many WordPress plugins available in the market but of these plugins, dw question and answer plugin is the best one. This plugin gets set as per your theme and its look too attractive on your website. Both Free and Pro version is available for this plugin. Basic features are available in both plugins. The only difference is the advanced features which are not available in the free version. If you want a simple Question and Answer section then there is no need of purchasing the pro version. The free version is enough. Even this tutorial is based on its free version only. So follow the below steps to install dw question & answer plugin on your website. The first thing you need to do is install and activate the DW Question Answers plugin. Next, create two new pages. First, for showing list of Questions and Second, for submitting the Question. Copy and Paste the [dqa-list-questions] and to[dqa-submit-question-form] the respective page. Pleae note we had intentionally removed the letter ‘w’ from dwqa. Next, you need to allow registration on your site. Of course, you can even allow Guest to post Question and Answer. Now go to settings page and select the option as per your needs. Don’t forget to the select the correct pages as shown in below image.You can even change the Permalink Structure at this place. Next, in Notification tab, customize the emails sent to users when a question is asked, answered, or a new comment is added. Further, in Permission tab, you can choose user roles. That’s it. It will add Q&A section to your site. Now, your user can post Question and Answer on your site easily. You can even add the Question and Answer from the backend. Check out below link to know how to add it. 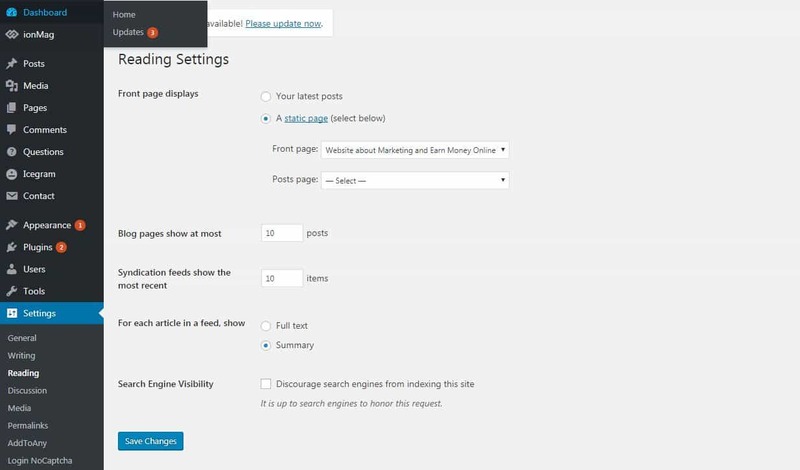 Note: This plugin uses the default setting for your SEO. If you are using Yoast Plugin then it will appear at the bottom of the respective page. 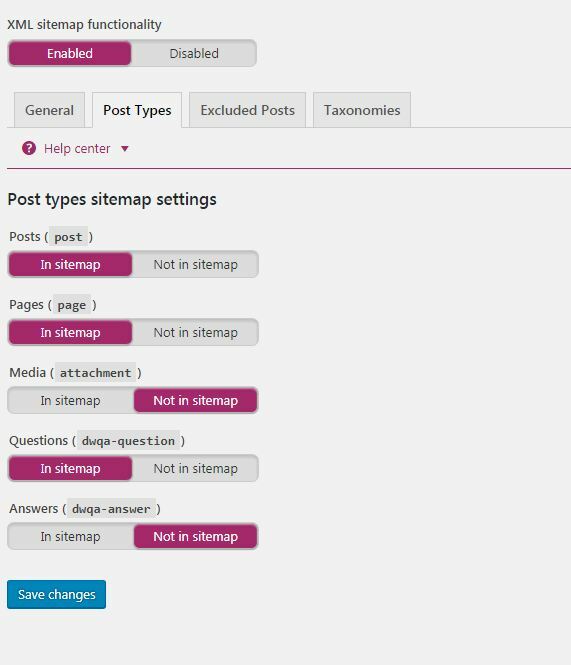 Further, you can even change the Meta Information and Sitemap in the setting page of the Yoast Plugin. Further, if you want to create a dedicated website using this Plugin and WordPress then disable all other available features and make the ‘List of Question’ as your default homepage. That’s it. Now, you will have a dedicated Question and Answer website showing list of recent question on the home page. Note: Many extensions are available for the plugin. Do not forget to check those extensions. Noe, your turn. If you are using any other plugin then please feel free to share with us. Further, if you are facing any problem in creating Question and Answer website on WordPress then feel free to contact us anytime. You can share your message in the below comment box.